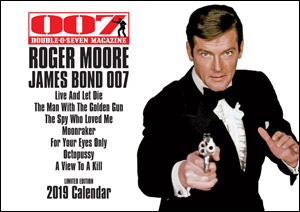 For Sean Connery and James Bond fans, Graham Rye's 007 MAGAZINE has become staple diet over several decades. Graham's skill as writer/designer/curator is the key – combined with the truly encyclopaedic library of resources he draws on. 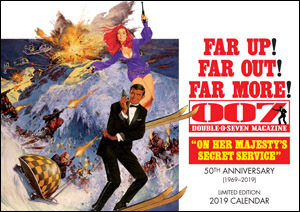 At Christmas 2017 Graham issued a unique and delightful special 50th anniversary tribute to ‘You Only Live Twice’. I can't recommend it enough. It's crammed with behind-the-scene images and sharp, exclusive insights on the movie's development and production. Prominent features are contributions from director Lewis Gilbert and the extraordinary production designer Ken Adam. There is also a superb analysis of John Barry's soundtrack – his best for Bond, in my view – detailing Graham's investigative work into Julie Rogers' abandoned lead vocal for the theme (she was out-manoeuvred for the role by Frank Sinatra's intervention: Nancy ended up singing the unforgettable title song). 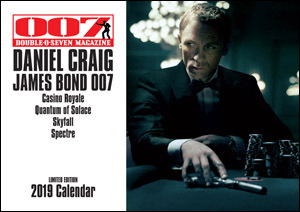 Visit the 007 MAGAZINE website to purchase a great keepsake celebration of the best of the Bond era. Author of ‘Sean Connery’ – the first, best and most intimate, distinguished and celebrated biography of the actor. produced are so classy, so elegant. It's the sort of magazine you want to keep forever." 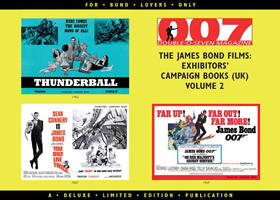 Each new issue of 007 MAGAZINE published, along with all back issues, are cost out as individual price modules in order to keep our administration, postage, and handling costs within our economic strategy, therefore we are unable to group publications for sales despatch. This administration policy not only safeguards 007 MAGAZINE & ARCHIVE Limited, but also our customers from bulk losses caused by the international postal services. James Bond film, with over 100 photographs. £4.99 £4.99 £4.99 SOLD OUT!